Creating videos and uploading it on different social media platforms are what these content creators do for a living or just for fun. But what if someone steals it from you? They grab your video, upload it to their own social media accounts and never even tag you as the owner. How would you feel as a content creator when someone uses your content without your permission, does not tag you as the owner, earn from ads on the video they steal from you and you as the original creator gets nothing? Video message to Walter, owner of filipino vines facebook page. Puro realtalk lang to, straight to the point. 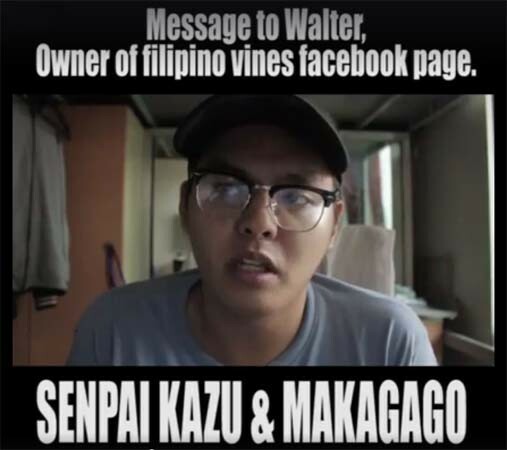 Follow Makagago for more REALTALKS <3 Clip By: Kazuhiko Parungao Mark Jayson Makagago READ THE STORY PLS THIS IS THE WHOLE REASONS The Real issue is about "credits" that he manages in facebook page ( Filipino Vines ) doesn't give the right credits, he is just using names, he doesn't even tag their main pages, main accounts or main youtube channels of the owner. Bakit niya ayaw itag and mga content maker sa facebook. Example for me as a content maker and I have my own followers and I don't even send my videos to Filipino vines anymore, but they still take my videos and not even tag me for credits and name ko lang andun and he even tags himself sa caption yung name niya ( Walter de vera ) naka taga sa lahat ng videos na pinu-post sa filipino vines. kahit rules nila na you need to put a #FilipinoVinerRock even wala naman sa captions ko sa mga videos nilalabas ko recently, Nung umalis na ako sakanila,Yes before meron ako kasi part nila ako and nag send ako but now hindi na pero may mga iba meron hashtag na ganon pero wala parin proper credits and another example is Gloco from youtube channel niya na "Train to busan parody". Hindi man lang niya mag tag yung main page and main account for proper credits na hindi naman siya nag papost sa filipino vines what I know about that is wala naman hashtag siya na #FilipinoVinerRock and About the CTTO ( Credits to the owner ) why cant you tag the source of the content maker at least, if you really manage your page properly .Why does pages make this wrong doings? for just simple tags or proper credits he and others can't even do it. Sinabi sakin ni sir Walter de vera gusto niya lahat ng likers hindi mapunta sa accounts, pages, channels ng content maker or owner of the videos. All he wants is mapunta lang yung viewers sa page ng Filipino vines by the way also other pages is doing this. ( By the way, he told me these things in personal conversation in person rather ) pero pag mga artista na tag niya ng maayos or kilala sa industry as in tag sa caption ng video na re post niya sa Filipino vines pages, why nagagawa ng page yun pero yung maliit ng content maker ng videos hindi niya magawa and nag million hit pa yung videos nila. Think about that, fair ba siya or yung iba? for my perspective hindi syempre kahit ikaw hindi ka matutuwa. For other people yes kasi sikat pero isipin mabuti. What if content maker kana and daily ka nag post ng video mo sa page or channel like me and Gloco for example and many more then kinuha yung videos mo ng filipino vines page & other pages and hindi ka man lang nila credits ng maayos para i follow ka din ng viewers na gusto ka panoorin directly and puro CTTO ( Credits to the owner ) kana lagi diba. So in short yung page mo hindi mag grow and the filipino vines page lang ang mag grow diba gets ba yung point ? same thing goes to other pages. That' not even fair right? What if someone will hire you for a event or contract for business matters eh alam nila sa filipino vines na post yung videos mo or sa ibang pages diba and hindi nila alam na may own page ka pala diba anong possible ang pwede mang yari. Naisip ninyo ba ? I don't want to give some judgmental issue about this kasi madami pwedeng mang yari. You know that the page Filipino vines and other pages are making money out of that video you make and re-posted in Filipino vines not only this page but also others. Knowing how that's even possible think about this before you read my statement paano ng yayari yun sa mga companies and events etc. are hiring pages to promote their products or events and even making a content out of page like Filipino vines and other pages also, walang monetization sa facebook only in youtube lang . Yes, companies do hire this pages even yung madadaming followers sa accounts nila even I experienced this already ( but in my own account Senpai Kazu and own content video I made by my own self and my own production team) . so in short term, filipino vines and other page are using your content or videos to make grow their followers and likers in his page not only Filipino vines page other pages too. I'm just concern for this dahil may mga talents na under or not even under sakanya naka pirma or hindi na may ginagamit na siya ibang content nila na hindi naman alam ng talents nila or hindi nila talents na may ganitong process pala before, even his ex talents doesn't know about this before at tinatago niya toh even now kahit na inform na niya yung mga talents niya may ganito ng process by companies and events etc. nag bibigay ng pera mismo sakanya now. he doesn't share the full information kahit naka under na and naka sign kana sa filipino vines or at least give the proper amount of cash who gives the effort to do the content of videos posted or re-posted in filipino vines and non filipino vines talent or outisde of the facebook and youtube channels too. Proper credits is a big thing for me and others kasi na dali na din ako at ang iba sa ganyan sakanya and many more pages like filipino vines. Why do I need to point out filipino vines page for this concern? Dahil doon ko nalaman lahat na ganun pala ang mga pages. A simple credits by means a lot for a creator of video contents. Who gives effort to their individual talents by showing off to the public decent or not decent content. This information can help new and old content makers in the Philippines in ( facebook & & youtube) I hope all the pages who does this things could change this as soon as possible. because content makers will unite against this agenda you make by using our content videos and our effort to make a money out of it, that you never give us a proper credits we will make this a movement to shut down your pages all for once. You might think of us as a small content maker and you have 1 million likers, we have the rights to make this happen and we have the right to be credited or demand to delete the video you posted in your pages. so once we start to demand you'll give some reasons that "we made you famous" and you will give some offers or positions to us that doesn't give us the right information. I know you have your own agendas for this reason like Filipino vines and also other pages too. I hope a lot of content makers will realize this and take this issue seriously, as a content maker we use our brains just to provide for the people and some will just steal it and make money out of it. That's so unfair. The solution for this is to report the pages or inform na creator of the page or admin to make this properly credited to the owner of the content video like UNILAD Page for example how they credit the content makers or owner the videos by tagging them on the caption and comment re-post video. Please spread this and read this and with understanding this content maker is being abused and used by other agendas for money and many more for the FANS who support their individuals content makers, famous people in facebook, YouTuber please take this seriously and if you see a pages doing this pls report and help this abuse pages to be shut down. those who doesn't give the proper support and credits to their own pages. Video message to Walter, owner of filipino vines facebook page. Puro realtalk lang to, straight to the point. The Real issue is about "credits" that he manages in facebook page ( Filipino Vines ) doesn't give the right credits, he is just using names, he doesn't even tag their main pages, main accounts or main youtube channels of the owner. Bakit niya ayaw itag and mga content maker sa facebook. Example for me as a content maker and I have my own followers and I don't even send my videos to Filipino vines anymore, but they still take my videos and not even tag me for credits and name ko lang andun and he even tags himself sa caption yung name niya ( Walter de vera ) naka taga sa lahat ng videos na pinu-post sa filipino vines. 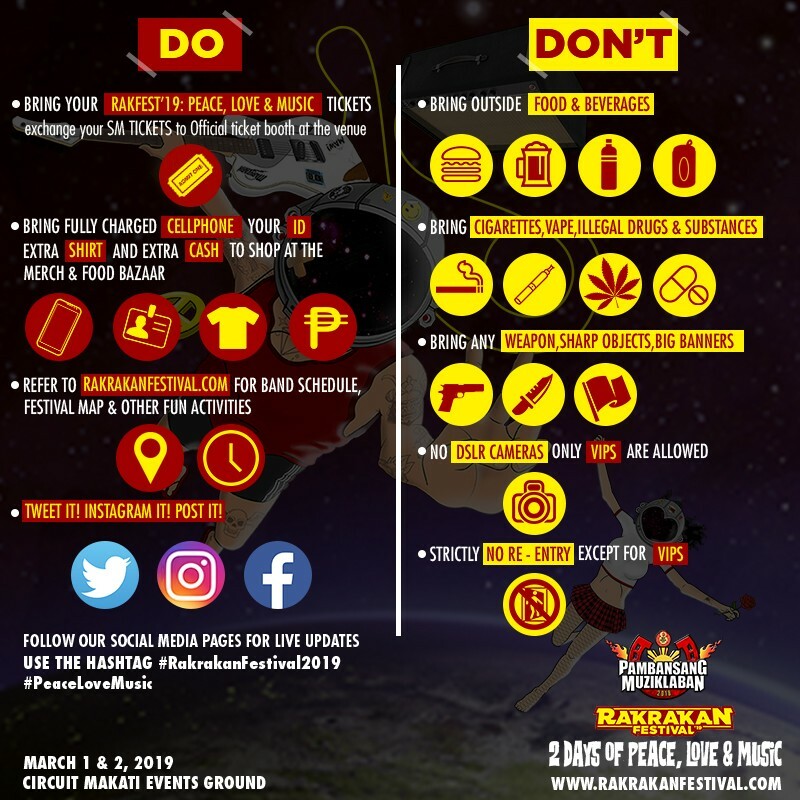 kahit rules nila na you need to put a #FilipinoVinerRock even wala naman sa captions ko sa mga videos nilalabas ko recently, Nung umalis na ako sakanila,Yes before meron ako kasi part nila ako and nag send ako but now hindi na pero may mga iba meron hashtag na ganon pero wala parin proper credits and another example is Gloco from youtube channel niya na "Train to busan parody". Hindi man lang niya mag tag yung main page and main account for proper credits na hindi naman siya nag papost sa filipino vines what I know about that is wala naman hashtag siya na #FilipinoVinerRock and About the CTTO ( Credits to the owner ) why cant you tag the source of the content maker at least, if you really manage your page properly .Why does pages make this wrong doings? for just simple tags or proper credits he and others can't even do it. Sinabi sakin ni sir Walter de vera gusto niya lahat ng likers hindi mapunta sa accounts, pages, channels ng content maker or owner of the videos. All he wants is mapunta lang yung viewers sa page ng Filipino vines by the way also other pages is doing this. ( By the way, he told me these things in personal conversation in person rather ) pero pag mga artista na tag niya ng maayos or kilala sa industry as in tag sa caption ng video na re post niya sa Filipino vines pages, why nagagawa ng page yun pero yung maliit ng content maker ng videos hindi niya magawa and nag million hit pa yung videos nila. Think about that, fair ba siya or yung iba? for my perspective hindi syempre kahit ikaw hindi ka matutuwa. For other people yes kasi sikat pero isipin mabuti. What if content maker kana and daily ka nag post ng video mo sa page or channel like me and Gloco for example and many more then kinuha yung videos mo ng filipino vines page & other pages and hindi ka man lang nila credits ng maayos para i follow ka din ng viewers na gusto ka panoorin directly and puro CTTO ( Credits to the owner ) kana lagi diba. So in short yung page mo hindi mag grow and the filipino vines page lang ang mag grow diba gets ba yung point ? same thing goes to other pages. That' not even fair right? What if someone will hire you for a event or contract for business matters eh alam nila sa filipino vines na post yung videos mo or sa ibang pages diba and hindi nila alam na may own page ka pala diba anong possible ang pwede mang yari. Naisip ninyo ba ? I don't want to give some judgmental issue about this kasi madami pwedeng mang yari. You know that the page Filipino vines and other pages are making money out of that video you make and re-posted in Filipino vines not only this page but also others. Knowing how that's even possible think about this before you read my statement paano ng yayari yun sa mga companies and events etc. 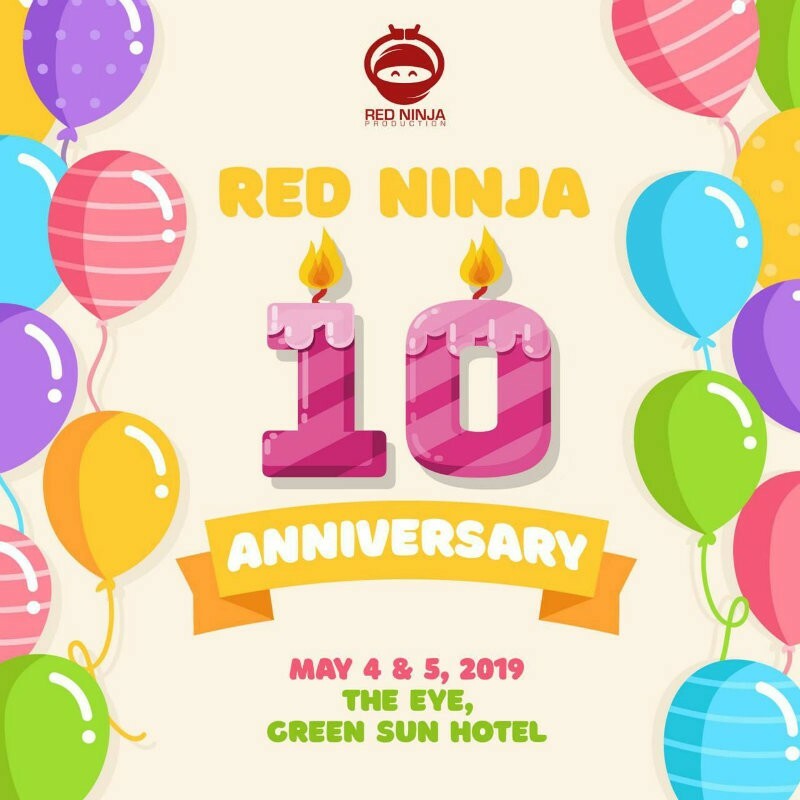 are hiring pages to promote their products or events and even making a content out of page like Filipino vines and other pages also, walang monetization sa facebook only in youtube lang . Yes, companies do hire this pages even yung madadaming followers sa accounts nila even I experienced this already ( but in my own account Senpai Kazu and own content video I made by my own self and my own production team) . so in short term, filipino vines and other page are using your content or videos to make grow their followers and likers in his page not only Filipino vines page other pages too. I'm just concern for this dahil may mga talents na under or not even under sakanya naka pirma or hindi na may ginagamit na siya ibang content nila na hindi naman alam ng talents nila or hindi nila talents na may ganitong process pala before, even his ex talents doesn't know about this before at tinatago niya toh even now kahit na inform na niya yung mga talents niya may ganito ng process by companies and events etc. nag bibigay ng pera mismo sakanya now. he doesn't share the full information kahit naka under na and naka sign kana sa filipino vines or at least give the proper amount of cash who gives the effort to do the content of videos posted or re-posted in filipino vines and non filipino vines talent or outisde of the facebook and youtube channels too. Proper credits is a big thing for me and others kasi na dali na din ako at ang iba sa ganyan sakanya and many more pages like filipino vines. Why do I need to point out filipino vines page for this concern? Dahil doon ko nalaman lahat na ganun pala ang mga pages. A simple credits by means a lot for a creator of video contents. Who gives effort to their individual talents by showing off to the public decent or not decent content. This information can help new and old content makers in the Philippines in ( facebook & & youtube) I hope all the pages who does this things could change this as soon as possible. because content makers will unite against this agenda you make by using our content videos and our effort to make a money out of it, that you never give us a proper credits we will make this a movement to shut down your pages all for once. You might think of us as a small content maker and you have 1 million likers, we have the rights to make this happen and we have the right to be credited or demand to delete the video you posted in your pages. so once we start to demand you'll give some reasons that "we made you famous" and you will give some offers or positions to us that doesn't give us the right information. I know you have your own agendas for this reason like Filipino vines and also other pages too. I hope a lot of content makers will realize this and take this issue seriously, as a content maker we use our brains just to provide for the people and some will just steal it and make money out of it. That's so unfair. The solution for this is to report the pages or inform na creator of the page or admin to make this properly credited to the owner of the content video like UNILAD Page for example how they credit the content makers or owner the videos by tagging them on the caption and comment re-post video. Please spread this and read this and with understanding this content maker is being abused and used by other agendas for money and many more for the FANS who support their individuals content makers, famous people in facebook, YouTuber please take this seriously and if you see a pages doing this pls report and help this abuse pages to be shut down. those who doesn't give the proper support and credits to their own pages.